The 2018 Honda CBR250R has been launched in India at a price of Rs 1.63 lakh for the standard version, while the 2018 Honda CBR250R ABS variant has been priced at Rs 1.93 lakh (both prices ex-showroom, Delhi). 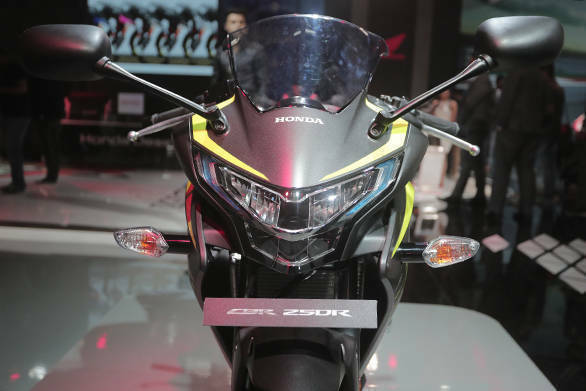 This new Honda CBR250R was first showcased at the recent Auto Expo 2018. With the 2018 Honda CBR250R, there are a few subtle upgrades, new colour options, and decals as well as a full-LED headlamp to bring it up to date. 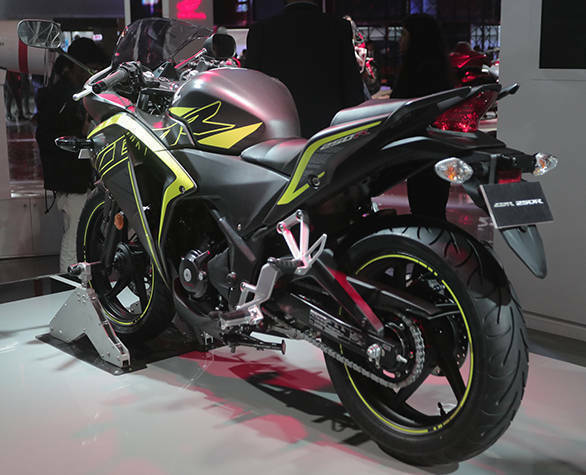 Most importantly, the popular 250cc faired motorcycle makes its comeback in a BS IV compliant avatar, a year after it was taken off dealer floors. Honda Motorcycle and Scooter India (HMSI) had taken the CBR250R off the Indian market in mid-2017 when the BS IV emission norms came into effect. New on the 2018 CBR250R is an all-LED headlamp setup with a positional lamp. 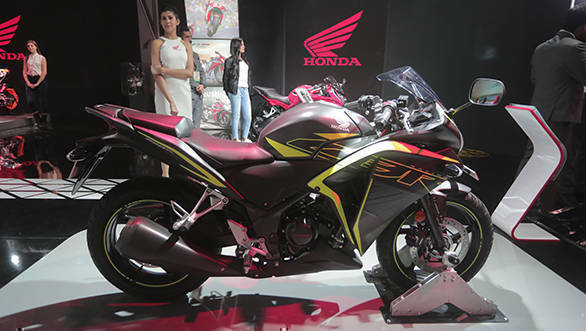 Honda India has also changed the paint options for the CBR250R. It is now available in Matte Axis Gray Metallic with Mars Orange, Matte Axis Gray Metallic with Striking Green, Pearl Sports Yellow, and Sports Red. 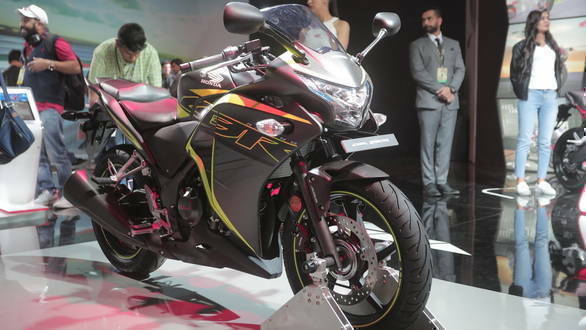 This 250cc motorcycle also receives new graphics which highlight its shape better. The alloys are now painted black with matching pinstripes on the exhaust and rear fender. The 2018 Honda CBR250R will compete with the likes of the KTM RC 200, TVS Apache RR310, Yamaha Fazer 25 and the Bajaj Pulsar RS 200. It comes powered by the same 249cc liquid-cooled four-stroke single cylinder engine with PGM-Fuel Injection as its predecessor. The motor produces 26.5PS / 22.9Nm, with a claimed top speed of 135kmph. HMSI has been on a spree of late, launching the 2018 Honda X-Blade, the next-generation Honda Activa 5G as well as the CB Shine SP, Livo and Dream Yuga commuter motorcycles and the updated 2018 CBR650F in recent weeks. In 2017, there were rumours of either the sportier Honda CBR250RR or the larger CBR300R being the replacement for the 250R. However, Honda later confirmed that neither of those would make it to India. There have also been talks of the Honda Rebel 300 and Rebel 500 cruisers making it to India in the near future, but neither model was showcased by HMSI at Auto Expo 2018.